As Marc Andre Fleury walked onto the stage enrobed in the colors of his new team, Penguin's Jesus looked up to the heavens from center ice at PPG Paints Arena, and proclaimed, "It is finished." Though fans knew it was coming, it didn't make the inevitable any easier to swallow. In the second to last selection of the expansion draft, Pittsburgh bid farewell and thank you to MAF as he became a member of the new Golden Knight franchise. He looked so thrilled. 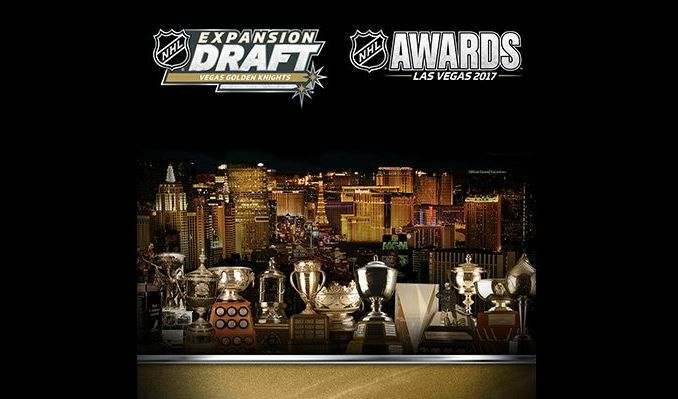 While the NHL hosted their annual awards night Wednesday June 21 in the desert heat and blistering sun of Las Vegas inside the new T-Mobile Arena, the trophies and who won them became over shadowed by the looming expansion draft that would be taking place at the same time and the sustained moments of uncomfortable awkwardness. Every Pens fan wanted Sidney Crosby to win more than the Maurice "Rocket " Richard Trophy, which is awarded to the leagues leading scorer, but it was no surprise when Conner McDavid walked away with both the Ted Lindsey Award and the Hart Memorial Trophy for NHL MVP. 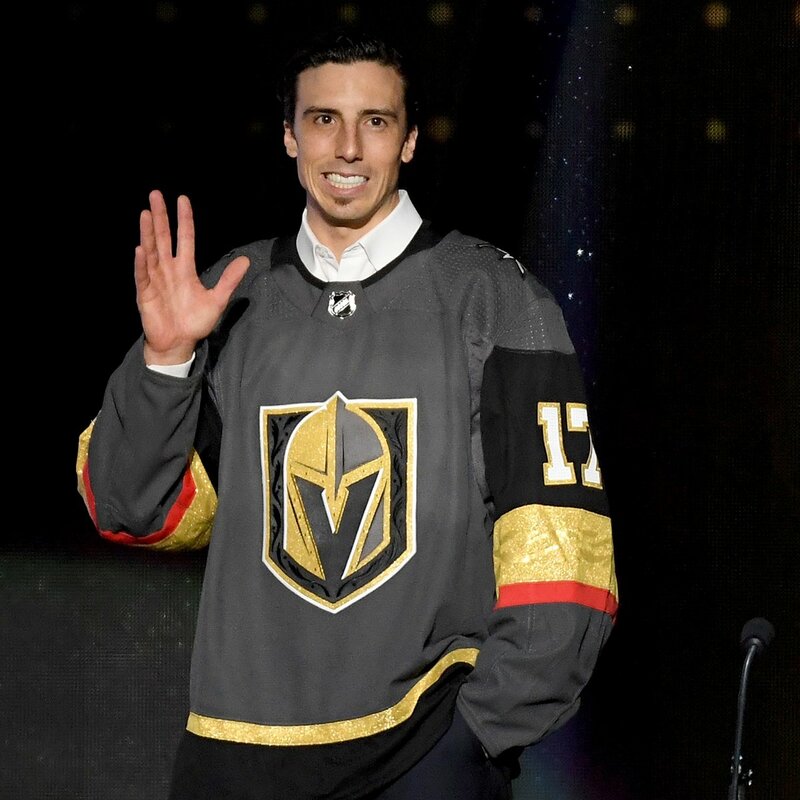 Most of the night's talking points, however, came from the antics in between presentations and the almost beauty pageant-like process used to announce the draftees of the Vegas Golden Knights. That and Patrik Laine's best visual impression of a James Bond villain. For a full list of the 2017 award winners, click here. Pittsburgh's favourite stripping werewolf, Joe Manganiello, hosted the event and took much joy in rubbing as much Pittsburgh pride into the faces of players, fans and Gary Bettman himself as he possibly could. It would have been a great "ha ha, take that haters" moment for the Penguins' fan base if the whole thing didn't come off as forced and overly rehearsed. Between having Sid switch seats with the NHL commissioner, handing out pieces of fried catfish and breath mints to the audience (really, who thought that was a good idea? ), to a burlesque dancing Iceburgh, the majority of the telecast left most viewers feeling embarrassed for anyone who had to actually be there in person. But wait...there's more! Throw in every half hearted joke regarding underage players being in Vegas, an NHL legend making mildly inappropriate remarks about a young female gymnasts legs, and B and C list celebrities as co-presenters trying to be funny and you have the makings of what could very well be one of the worst awards shows ever produced. All was not lost however. The night did have some heartfelt and feel good moments. The biggest tear jerker of the night came late in the broadcast when the NHL honored the career and courage of (now former) Carolina Hurricane forward, Bryan Bickell, who was diagnosed with Multiple Sclerosis, an autoimmune disease, in the middle of last season. After a touching video tribute, host Joe Maganiello brought Bickell and his wife Amanda on stage for a farewell speech and check presentation to the Bryan and Amanda Bickell Foundation on behalf of the NHL. As for the expansion draft, not much can be said. 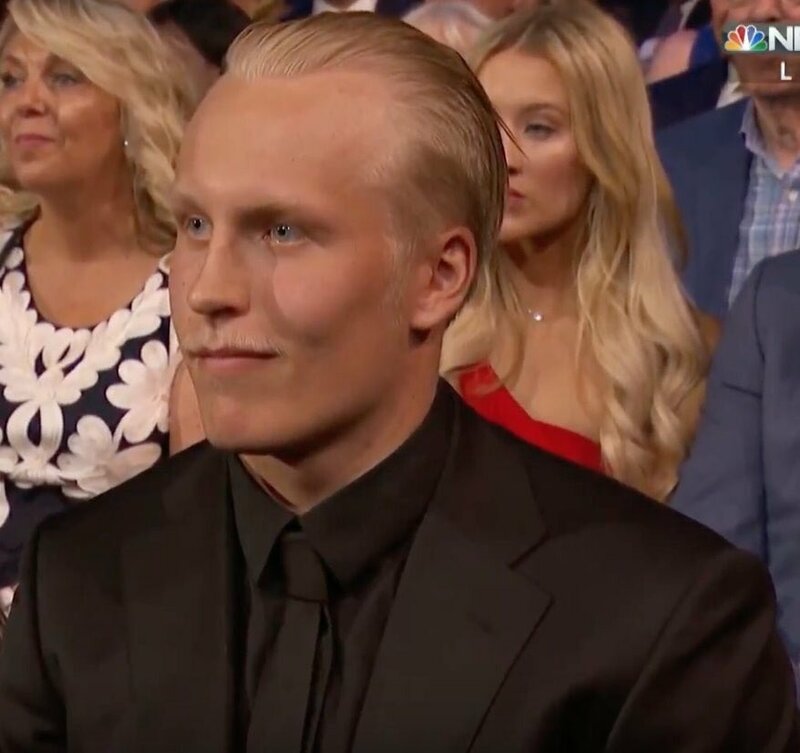 It was like watching a the top finalists of a beauty pageant being called except most hockey fans already knew who was going to be selected thanks to online leaks. With the exception of a minor snafu in which one teams selection was announced out of order, the draft names were read through in a timely manner within each round of names, four rounds in total, and will be forgotten about just as quickly. The NHL attempted to make this years awards ceremony more along the lines of other more prominent and flashy awards shows such as the Espy's or whatever awards show MTV has going on now a days. All it was missing was a lip synced performance by a struggling musical performer trying to regain the spotlight. In short, the attempt to bring more fanfare to the show flopped harder than the Phildelphia Flyers attempt to make the post season and now that it is over, we can all get back to celebrating another summer with Lord Stanley.